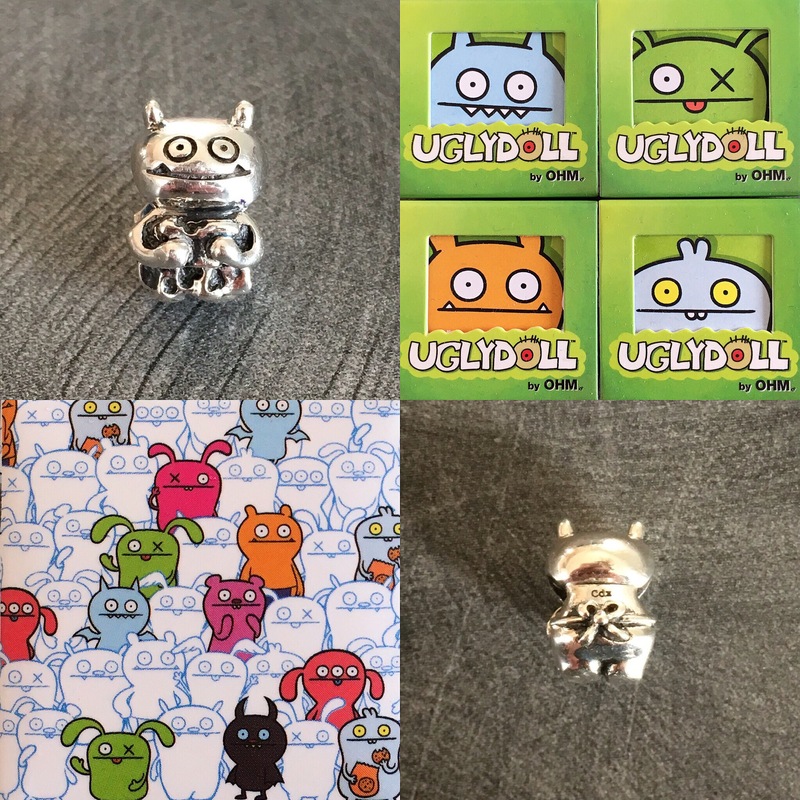 The Uglydoll silver beads are super cute, quite small and really shiny. I’ve only just begun to wear them, so it will take a while to figure out how to best use them. They make a great set, but I think I’ll enjoy and appreciate them one or two at a time. I think they work best with a glass bead in between each one. Left to right below are Babo with the cookies, Ox with the really cute tongue, Ice-Bat with the cute teeth and Wage with his apron and bag of snacks. We used to see Uglydolls in gift shops at all the children’s museums in the USA, but I’m not sure if they are well known in other countries. Even so, I think their appeal can cross cultures easily. Here is the Wage and his back, where the apron ties up. The boxes are really cute, too. 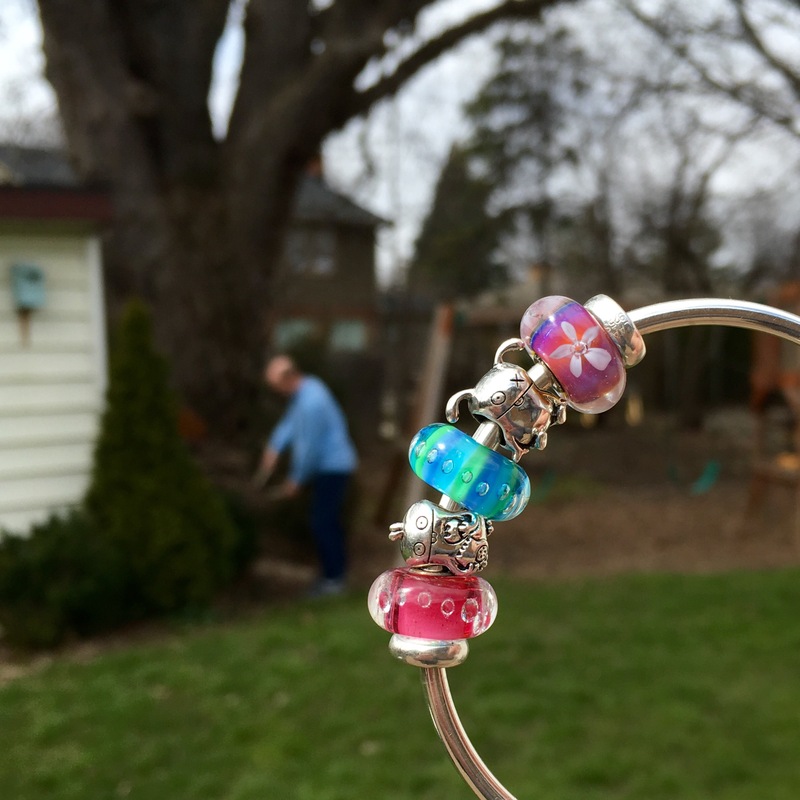 I did try them out on my new Essence bracelet. The size works out perfectly. I know I shouldn’t be putting anything on the Essence bracelet but couldn’t help it. 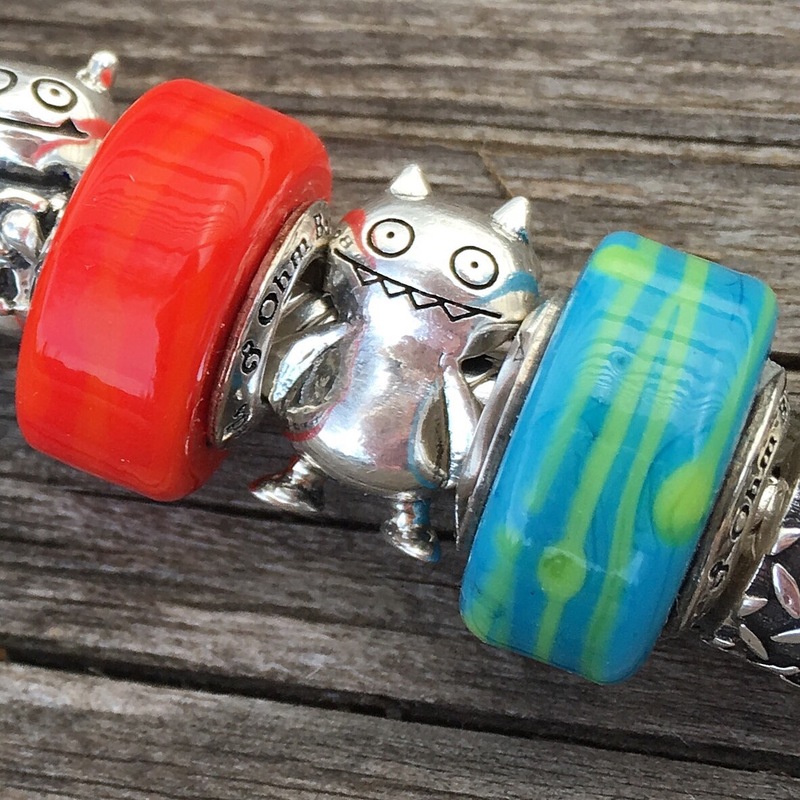 I really like the Uglydolls with the barrel shaped Ohm glass beads that I have. Here’s an up close shot of Ice-Bat. As an aside, my cousin is an expert in the white nose syndrome in bats, that is killing them off in droves. It’s very bad for the environment to have lots of bats dying, because they eat a lot of insects and help to control the pest population,so when I look at Ice-Bat I picture my cousin going deep into caves to do her research! And here’s one last look at the little guys. There’s no way I could pick a favourite, as there’s something very appealing about each one! 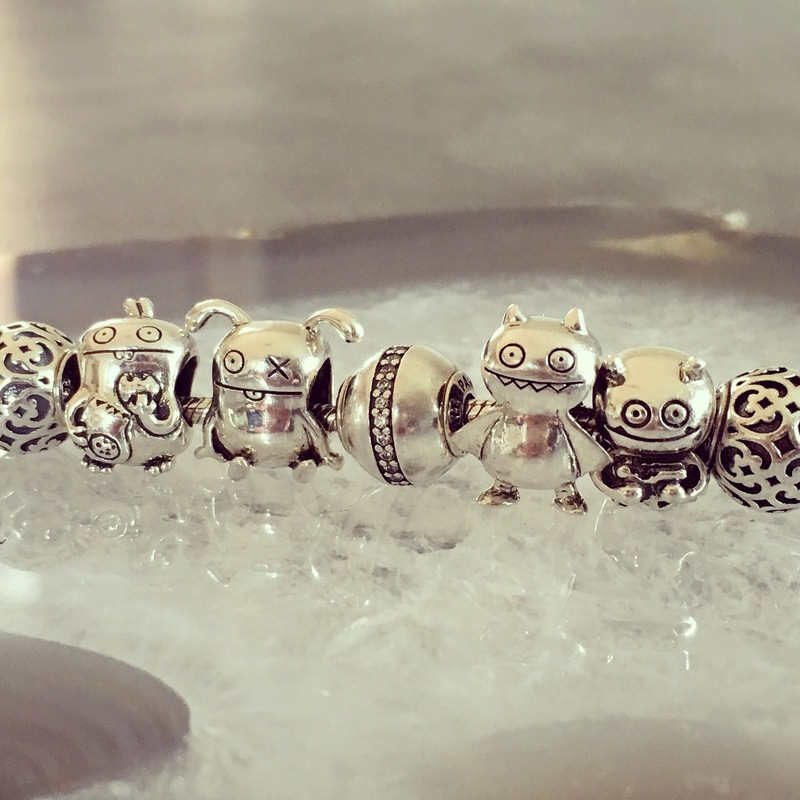 You can see and read more about them on the Ohm Beads website. I think I agree that it’s hard to pick a favourite, I would have to have them all! They do look sweet and best with the Ohm glass! I love this post! 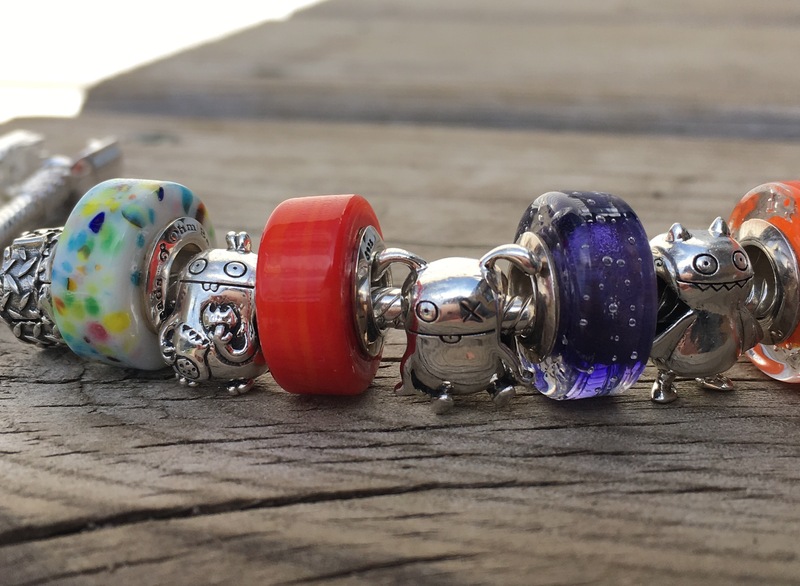 It’s great to see other bead and bracelet designers’ creations. Thanks Sarah! Yeah, I really do like the one Uglydoll/one glass bead arrangement. I really like Ox’s tongue. It makes me smile every time I see it! I loved all, but my favorite is Babo!!! It was sold out when I tried to buy it, last month!!! maybe I can get all for in my next trip! Babo is so sweet! I hope you can get it too! They are super cute and I think they look best with the Ohm glass. 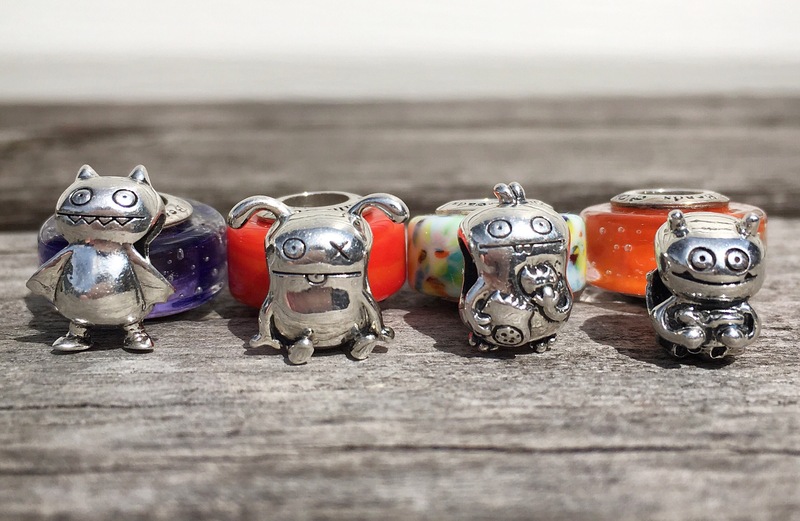 I never heard of them before Ohm released them, but I am sure their cuteness will appeal to many collectors. They are sooooo cute !! 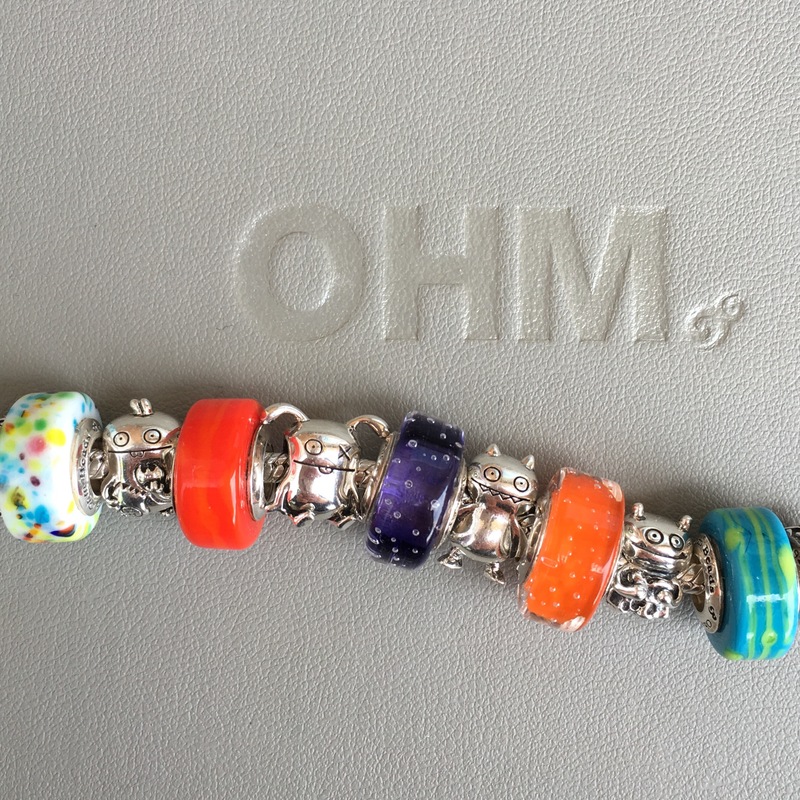 😍😍We don’t have OHM beads store in NB. I have to order through online. Yes, I think they are cute, too! And you’re right, there are no stores in Canada that sell Ohm (I’m in London, ON). All we have here is Pandora.